Duplex(Link-up) any comfort of 54m2, for 8 people, within a residence 4 stars equipped with a space Wellness (swimming pool, spa) of whom you can take advantage unlimitedly. The apartment is skis in feet to take advantage at best of 450 km of tracks of the domain Paradiski. 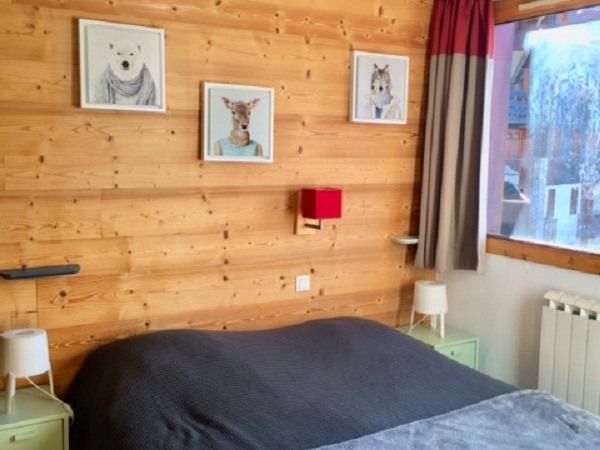 You can park quietly in the High underground parking of Belle Plagne with direct access to the residence. Are included in the price list(rate): household(housework), parking space underground passage, linen of bed and dress(toilet). We are a couple with 2 children fell in love with Belle Plagne and its entirely pedestrian center, its animations and its unique family atmosphere. The apartment has been decorated and decorated with care to make you feel at home!